3g is working as 4g, Slovakia use the same bandwith as other countries. Are you sure the APN is set ? If not set it manually. Fyi : ORIGINAL not modified ! The Sim card is new, the APN setting is correct. -flash only BOOTIMG and ANDROID – I am flashing all this is not problem ? But make older flash and 3G not conected not work. to this last build, partial flash only to keep my data. Try to flash the complete rom except PRELOADER and RECOVERY (if you have a modified one) because the RECOVERY in this rom is the stock one. DO YOU HAVE A PROBLEM TO MOVE FROM STORE MEMORY TO SD EXTERNAL MEMORY WITH THIS ROM? The problem is Phone not register sim card imei number. How fix it ???? Advantages over build P3000S_20141220 please? This problem is not related to this rom. Almost every 4.4 suffers from this. hello i have a question, when I set a photo as your homescreen remains shifted to the right of the screen, you solve this problem? 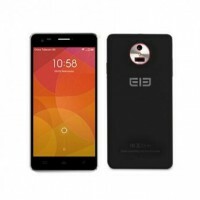 this rom works for elephone P3000?